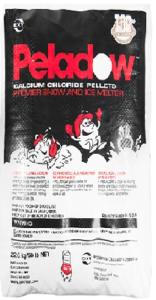 Peladow Calcium Chloride is a UDS mined brand effective 100% to 20°F. Works at Temperatures as low as -25°F. Optimal for Sidewalks, Driveways, and pavement. 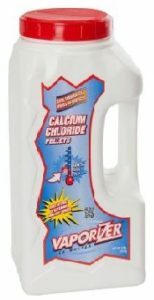 Vaporizer Calcium Chloride comes in a 9lb Jug. Being the most convenient and mobile of all. Perfect for throwing it in the car and go. Designed for quick and effeicent use, packaged with convenient dispenser.